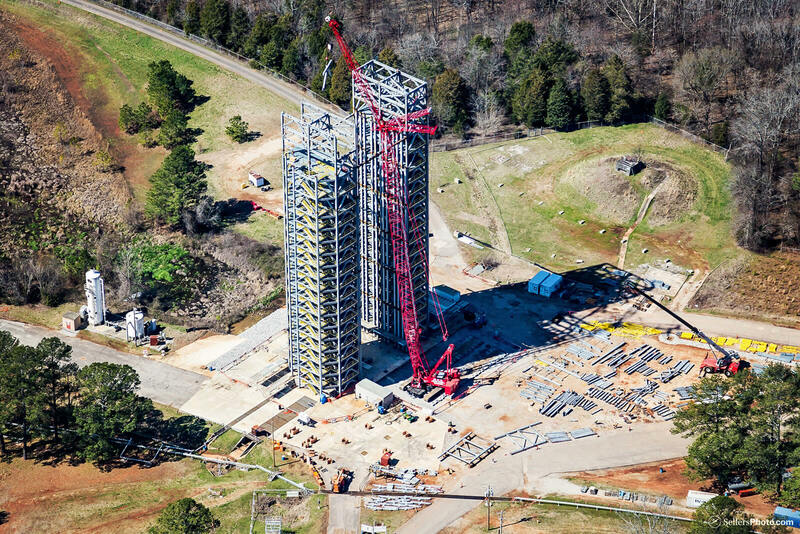 Merrick & Company, in joint venture, provided programming, design, and construction administration for the test stands for the Space Launch System (SLS), Liquid Hydrogen Tank (LH2), and the SLS Liquid Oxygen (LOx), Tank at NASA at the Marshall Space Flight Center. Prior to the launch of the SLS exploration mission vehicles to Mars, these fuel tanks undergo extensive testing to ensure they can handle the loads and stresses of launch and space flight. These tests validate the integrity of the tanks to ensure the utmost safety for our astronauts. These test stands are critical infrastructure for conducting these tests; the equipment on the stands simulates launch and flight by pushing, pulling, and bending the tanks, applying millions of pounds of force in both directions, as well as sideways shear. Design of the stands had to consider the appropriate configuration for testing, millions of pounds of force transferred to both the test stands and the substructure foundation, and the ability to move and reconfigure the stands to accommodate testing for future missions. Nothing like these stands exists, and without them, our nation’s space mission would be grounded. The SLS LH2 stand is 212 feet tall and configured as two wide towers of platforms on either side of a clear area. Platforms, approximately every 10 feet for the full height of the test stand, provide access to the LH2 tank and allow for loads to be applied at virtually any elevation. 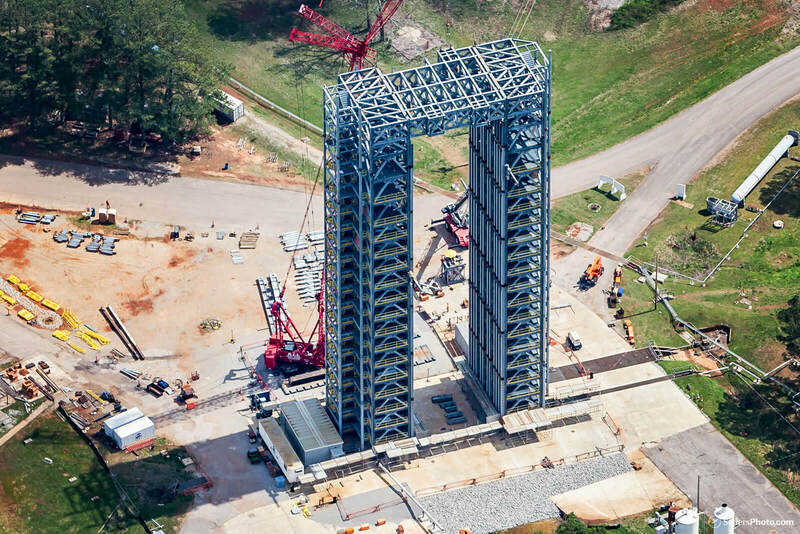 The 85-foot LOx test stand footprint is 80 feet by 80 feet on a square concrete pad and is comprised of 20-feet-wide sections of platforms on both sides of an “L” with the two sides remaining open. Perhaps the biggest design challenge was making the test stands configurable for both current and future missions. To do this, the team had to design the stands so the load deck portion of the LH2 test could be moved. The magnitude and complex nature of the stresses on this movable building structure made this task especially difficult. To solve this challenge, the Merrick team used special analysis software, CREO, to finalize some of the particularly complex connection designs. 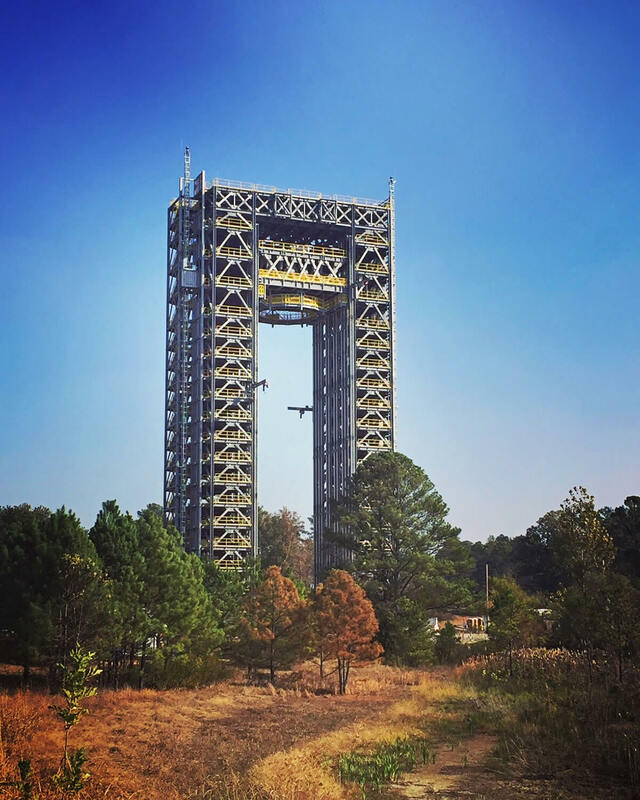 Watch the structural test stand rise 221 feet from the start of construction in May 2014 to its finish in November 2016.